Video calling is big and getting bigger. Steve Jobs introduced Apple FaceTime in June 2010 with the release of the iPhone 4 that included a front-facing camera. Over the past six years, FaceTime has improved significantly as a communication tool – if both parties have an iPhone. Initially, I did not think FaceTime was a very useful communication tool. Who would want to see the other person when they talked? And, it was a closed system requiring an iPhone, which left out 75% of the population. One thing has changed my attitude. Grandkids! My two grandsons live in Pittsburgh, and we don’t get to visit them in person very often. However, Karen (and me when I am around) FaceTimes with them several times a week. It truly is amazing. And, when we do see them in person they know who we are because they have seen us so much. Using video to engage and interact with both clients and prospects is becoming a valuable tool for you to consider using. I have written before in TechTips about the importance of experimenting with video in your agency. Last month Google released a new one-to-one video calling app called Duo that is available for both the Android and iOS platforms. Google designed the app to make it straightforward and easy to access your contacts quickly with a single tap. This allows you to request a video call with another Duo user across platforms. The app does not yet support Windows 10 Mobile. You can use both WiFi networks and/or your LTE cellular data regardless of your particular carrier. The app can switch to and from WiFi easily without ever losing your connection. Google Duo includes a “Knock Knock” feature that alerts users to an incoming call. The recipient then has the ability to look at a preview of the video call before deciding whether to answer. It’s an especially useful tool when someone receives a call from a person he or she doesn’t know, and isn’t sure why they’re calling. In a blog post, Google says the app technology is designed specifically to deliver high-quality video across both WiFi and LTE. Just be aware that — like any other video app — quality will depend on your actual connection speed. There are some phone requirements to be able to use Duo. Based on information in the Google Play marketplace, Duo requires Android 4.1 or later to work. For Apple, users can run Duo on an iPhone, iPad, or iPod Touch, but will need iOS 9.0 or later installed. Google has stated that the application was built “with an emphasis on privacy and security.” To support that statement, Google said that all video calls between users are “end-to-end encrypted.” In other words, there is no way for third parties, including law enforcement and even Google, to see what two users are chatting about on Duo. 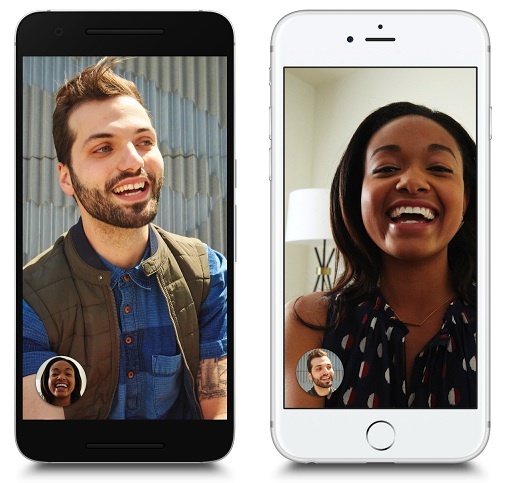 The Google Duo app is free, and there are no in-app purchases necessary. Video is a compelling way to build relationships when you just can’t be there in person. You may not think you have very many clients at this point who want to talk with you on a video call, but you may be surprised when you offer this as one option. Have you used Google Duo yet? What has been your experience? What other video chat options have you tried? Let me know.